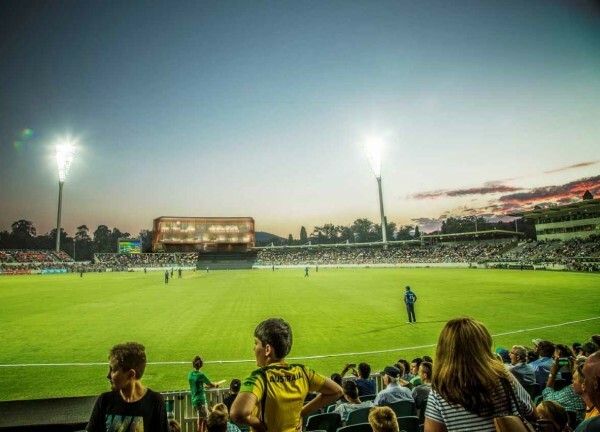 Draft designs for a new media centre for Manuka Oval are available for public comment via the ACT Government’s Your Say website until 5pm on April 7. The design will be further refined using feedback from online comments as well as community input presented during workshops and drop-in sessions held earlier in March. It must meet International Cricket Council standards and be up and running in time for Canberra’s first cricket Test match, to be held during the 2018/19 season. Community feedback already factored into the designs includes a need for the building to be high-quality, to complement the heritage aspects of the precinct and to incorporate multi-purpose function spaces that are easily accessible to users. Cricket Australia’s usual preference is to place media centres at the northern end of grounds, to avoid glare issues for the media. 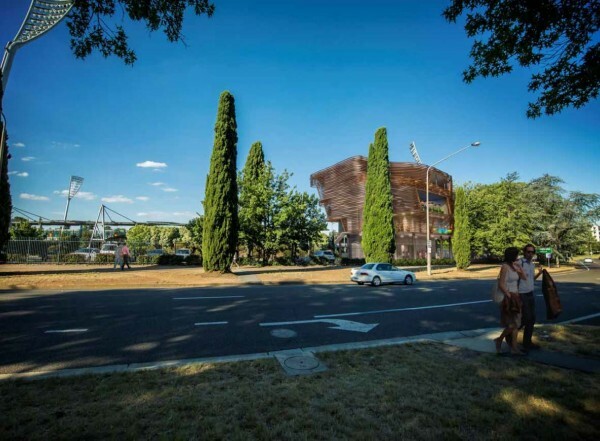 However, with a proposed height of about 17.5 metres, the scale of the media centre would have overwhelmed the heritage-listed Manuka Pool and the Curator’s Cottage. Instead the government proposes the media centre be built at the southern end where its scale is closer to existing buildings. The centre will have an extended roofline to remove glare issues for media. When not required for media use at major events the facility could be available for corporate seating or function hire. 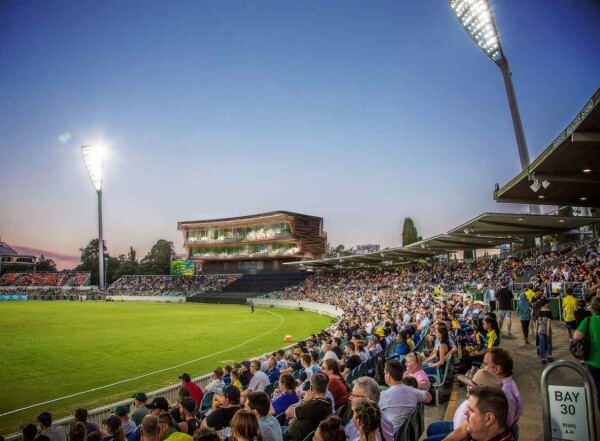 A larger proposal to redevelop Manuka Oval to incorporate a hotel and apartments was shelved in 2016 following intensive campaigning from residents and community groups. Visit yoursay.act.gov.au/manukaoval to provide your feedback to the ACT Government on the plans. But we’re interested to know what you think, too. Does the draft design for the media centre complement the surroundings at Manuka Oval? 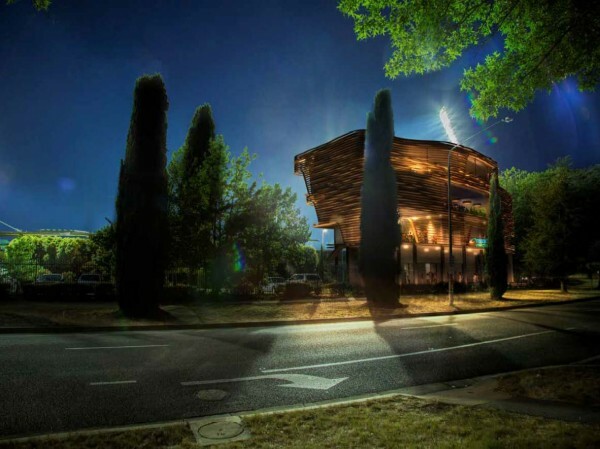 What do you think of the ACT Government's draft plan for a new media centre at Manuka Oval? It looks terrific and sounds as though it will meet the needs of stakeholders. There is more work to be done to ensure the design is complementary to its surroundings. I think they need to go back to the drawing board because that design is not attractive at all. Media box pull the other leg … Thats built for politicians and their entourages . I think you could fit all the local sports media in that building. Manuka needs a comprehensive upgrade – not more money poured into incremental improvements. The improvements they’ve already made allow for international cricket and AFL – but they’re hardly going to undo all this to make way for the proper upgrade it needs. The catering at Manuka is most in need of attention. The vendors are an absolute shambles no matter what the crowd size. With just 6000 at the AFLW I completely gave up on trying to buy food or drinks. It looks a lot better than that awful capsule shaped building at Lourdes (a cricket ground in England). I refuse to watch any cricket telecasts from that oval because I hate the sight of that building in the background all the time. Is it time for a major upgrade at Manuka Oval?